c． Utility Model Patent: ZL 2012 2 0455216.3《A press quenching type quenching tank》. 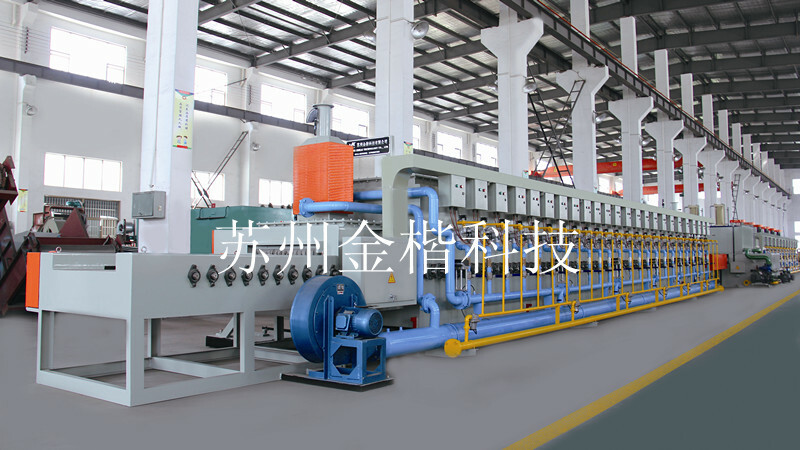 Applications: The line is mainly applicable to the press hardening of the track shoes and steel plates of engineering machines and is an ideal heat treatment line for quenching and tempering track shoes and steel plates. Features: Natural gas heating and the special dissipate heat system inside furnace are adopted to realize full burning, uniform furnace temperature, more than 40% energy-saving than electric furnace, clean and environmental protection, higher working efficiency.